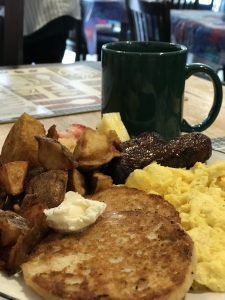 From time to time, we take our advertisers out to breakfast to review a local breakfast place for our readers. Because, really, who doesn’t love breakfast? 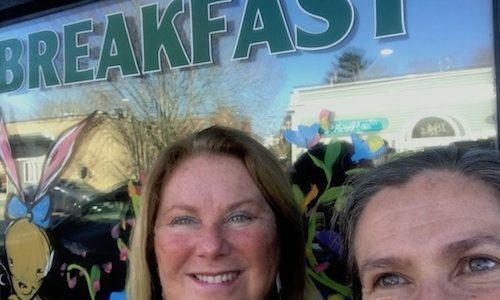 Most recently, we had breakfast with Cindy Parola of LaForce Realty…..
Cindy Parola is a local’s local and she really knows her stuff, whether that is real estate or home fries. I knew she’d be a good person to ask about breakfast spots. 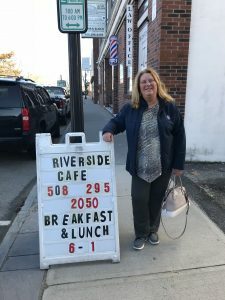 When I asked her to pick a place to review, she chose the Riverside Cafe on Wareham’s Main Street. When her order arrived, she told me Riverside makes the best home fries she’s ever had and she let me try them. She’s right. They are stupendous. Crispy like no others I’ve ever had. They are seriously worth a trip, even if you hail from the other end of the South Coast. Even if you’re coming from Boston. While we happily ate our breakfast, we talked about Cindy’s work and life here. Cindy inherited his worth ethic. “I don’t do anything half-assed,” she says frankly. “I was taught that an A- wasn’t good enough. The bar was set high. I was also told I had to participate.” At Old Rochester Regional High School, she participated in theater, track, volleyball, band and chorus. She took the late bus home every day which set her up for the grueling schedule she’s maintained throughout her life. In many ways, she has carried on her grandfather’s legacy of land and cranberries — she’s been president of Decas Cranberries for 20 years and she’s also a real estate broker affiliate at LaForce Realty. But she’s done so many other things: she owned a liquor store in Wareham when she was just 17 [before she was legally of drinking age! 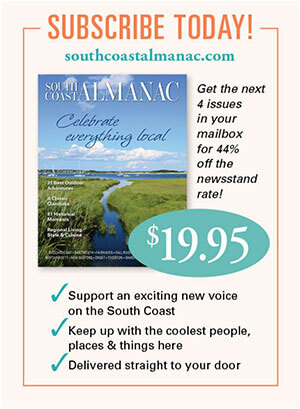 ]; she finished college in 3 years; she served on the Wareham School Committee and Board of Selectman; she’s hosted two dozen Cape Cod League baseball players. So here are the takeaways from breakfast with Cindy Parola. The Riverside Cafe is amazing. We both give it an A. The home fries are the best we’ve ever ate. Morning Glory Pancakes with warm syrup should be a regular part of anyone’s life. Cindy is supposedly neither kind, nor loyal. I should go back to Riverside for the hash. 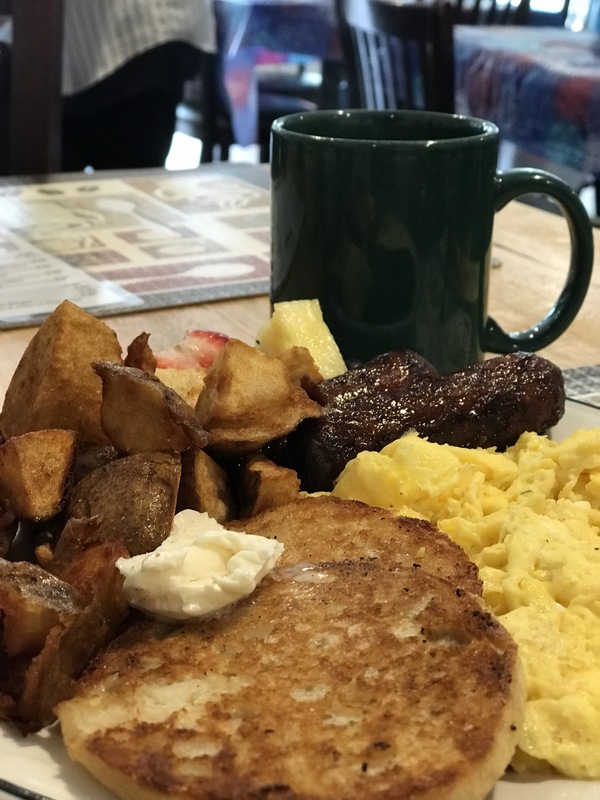 Check out the homefries yourself at Riverside Cafe, 189 Main Street, Wareham, 508-295-2050. Open daily for breakfast and lunch, 6 am to 1 pm. To find out more about Cindy’s real estate practice (commercial, residential, you name it — she knows it all), go here. And, finally, to keep up with breakfast place reviews and lots more going on in the area, sign up here. This entry was posted in Food, People We Love, Uncategorized and tagged in riverside cafe, wareham.